Key Verse: Verse 3 – "He restoreth my soul: he leadeth me in the paths of righteousness for his name's sake." The word restore carries the idea of a bone out of socket that the doctor puts back in place. We all on occasion need restoring because of events, situations, and adversities which cause our soul to be out of socket. At the Royal Palace of Tehran in Iran, you can see one of the most beautiful mosaic works in the world. The ceilings and walls flash like diamonds in multifaceted reflections. 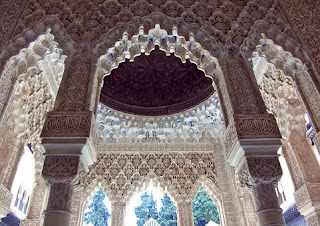 Originally, when the palace was designed, the architect specified huge sheets of mirrors on the walls. When the first shipment arrived from Paris, they found to their horror that the mirrors were shattered. The contractor threw them in the trash and brought the sad news to the architect. Amazingly, the architect ordered all of the broken pieces collected, then smashed them into tiny pieces and glued them to the walls to become a mosaic of silvery, shimmering, mirrored bits of glass. Broken to become beautiful! It’s possible to turn your scars into stars. It’s possible to be better because of brokenness. It is extremely rare to find in the great museums of the world objects of antiquity that are unbroken. Indeed, some of the most precious pieces in the world are only fragments that remain a hallowed reminder of the glorious past. Never underestimate God’s power to repair and restore. Today, let God restore your soul back to beauty again. ✞ Let God put the pieces of your life back together again.